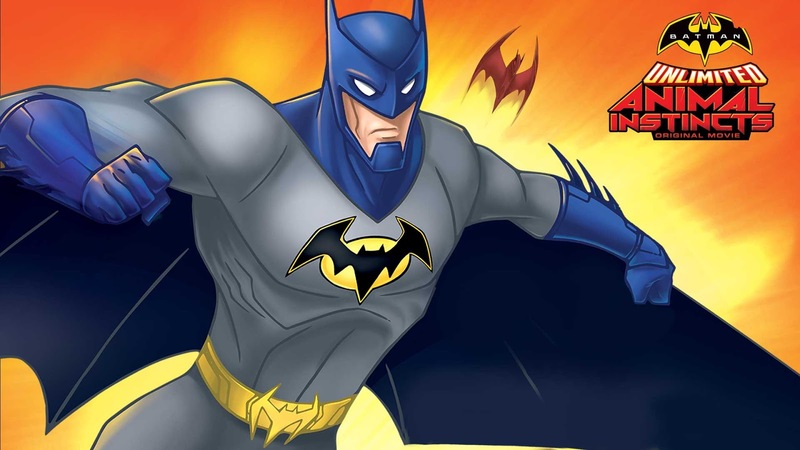 Batman Unlimited: Animal Instincts is a direct-to-video animated superhero film. It was released on May 12, 2015 on Blu-ray, DVD and Digital HD. DC has become increasingly more successful at gearing their content towards adults. Whether it is the gritty world of The Dark Knight or the even grittier Batman parallel Arrow, it has all been for the grown ups. We ask though, what about the children? We forget that our favorite heroes are essentially adults wearing tights who admittedly don’t always have to be so dark. We were all kids at some point and were enamored with these fictional characters at one point or another. Batman Unlimited: Animal Instincts strikes that perfect balance between kid friendly yet still enjoyable to adults. Even recent animated films from DC were extra violent so getting a film that is by no means dumbed down and still fun for everyone is a breath of fresh air. The ensemble cast chosen for this film can be considered to be a strange pairing. For the good guys, you got Batman, Red Robin, Night Wing, Flash, and Green Arrow–who, we’d like to point out, is now referred to as Arrow. Two of those characters aren’t exactly straight from the streets of Gotham. It seems that DC is trying to bring these heroes together in different yet interesting ways, maybe even attempting to match Marvel’s ability to mix it up with no one batting an eye. Another pretty obvious reason to include Flash and Arrow is they both have popular television shows currently airing. Add Batman to the mix and you have DC’s most popular characters at the moment. If there is one thing that the shows have made apparent, it is that crossing into each other’s worlds is possible and will be occurring more often. It also makes sense that Bruce Wayne and Oliver Queen would be at the same social gatherings since we all know they are both rich guys. Like most of these animated films, the story is very much self contained. It features a villain cast inspired by animals that includes Silverback, Cheetah, and Man-Bat, who are lead by none other than the prominent Penguin. The story plays out like a mystery that is simple enough for kids but at the same time still complicated enough that you won’t know the end game until, well the end. Each villain here is a good foil for our heroes, offering enough of a pushback to be considered threats and having a cybernetic animal army is most certainly helpful. The story is good, not great; it gives everyone something to do but don’t expect any sort of epic. Backtracking to the kid-friendly and adult-enjoyable, it has plenty of laughs in there as well. It focuses on things that should be funny for all fans of these characters. Topped off by the running joke that Nightwing isn’t too fond of the Flash’s shenanigans. It is very smart in that way, if the Flash and Nightwing actually met, it realistically shows how the duo would react to each other. They are both roughly the same age in the film but are polar opposites in terms of personality. These small interactions between the cast stay true to the characters, thus creating a fun romp that doesn’t feel forced. More importantly, though, the action is there and it is good. There are motorcycle chase scenes, transformations, great fights, you name it. There is a lot of action, with very little violence. Now, that is something hard to accomplish, but necessary when trying to create a family-friendly Batman film. Each one of our heroes has a specialty that is used in some way like Flash’s speed or Arrow’s archery skills to complete the task at hand. As he himself will let you know, Batman is Batman, so he is a badass, which is really nothing new. This won’t be a game changer in the DC Universe canon, but it is at least a fun time for all ages. Hopefully we will see more kid-friendly films from DC that will introduce the younger generations to these characters in an interesting, yet not dumbed-down manner. While there is a time and place for being dark and gritty, let’s not make it the exclusive way of portraying these leotard-wearing men. Batman Unlimited: Animal Instincts is good (not great), but is worth the watch for all fans.